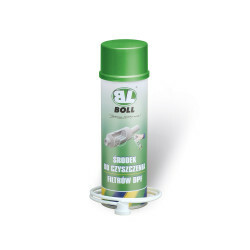 Multifunctional product to lubricate, clean and protect even places difficult to reach, against humidity, salt and factors causing corrosion. It facilitates the use of hinges, dampers, leads and other mechanical metal elements. It loosens rusted screws, nuts and etc. creating at the same time a protecting layer.